British expansion in valleys of Wabash and Ohio rivers. Served as trade and communication post. 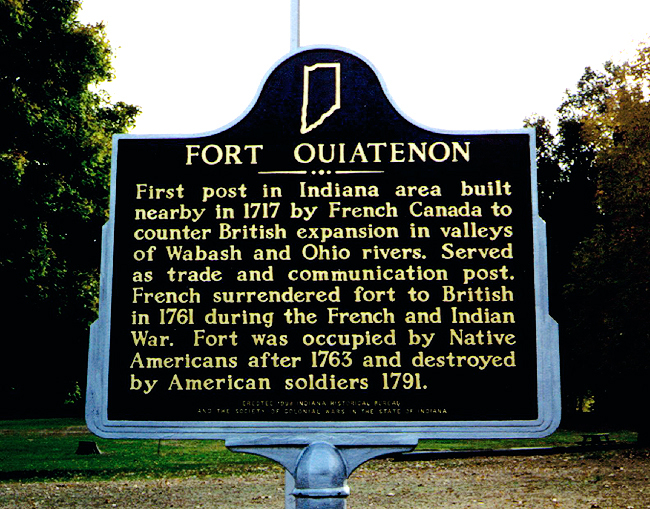 French surrendered fort to British in 1761 during French and Indian War. destroyed by American soldiers 1791. July 22, 1741 - June 12, 1812. 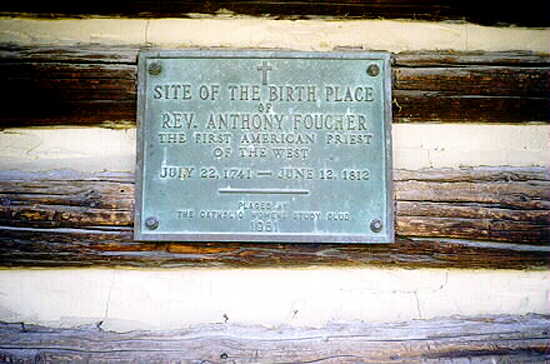 It was placed by the Catholic Women's Study Club, 1961. 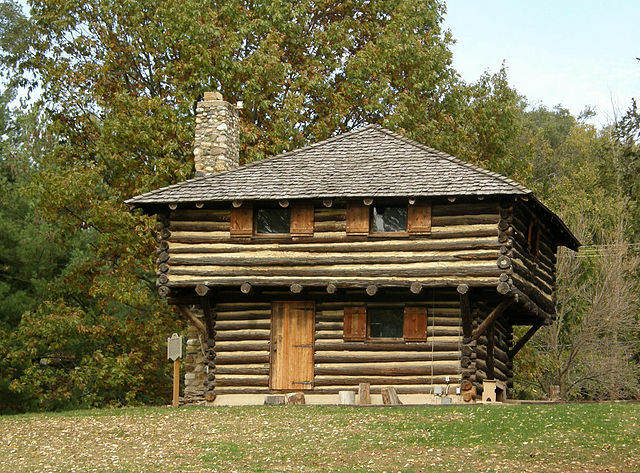 Photo of the Fort Ouiatenon Blockhouse from WikiCommons and is in the public domain.